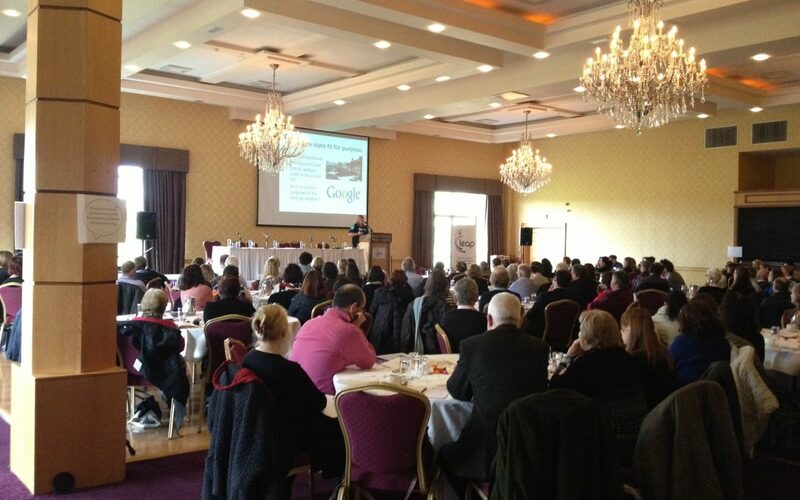 Leap and Inclusion Ireland hosted Creating Sustainable Lives: Personalisation from a Family Perspective on Friday the 22nd Feb in the Mullingar Park Hotel, bringing Caroline Tomlinson over from the UK to speak about the practicalities of Personalisation and what it means to families. 150 people came along to the day and from initial feedback people were eager to go away and see how they could apply the knowledge Caroline and the Irish delegates have given to them. Leap are also lookng at what families have told us at this event and are planning a host of further events to support families to move towards personalised supports and services. We will post video clips of speakers from the day along with further information over the coming weeks. We also have planning workshops for families who want to plan for the future in a different way coming up in the summer. Stay tuned! 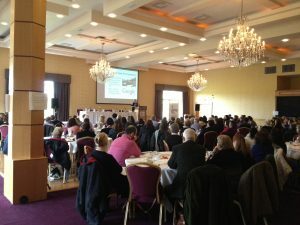 Caroline Tomlinson speaking to a room of 150 people at Leap/ Inclusion Ireland Sustainable Lives event.